This fantastic pack comes with all you need to start tumbling. 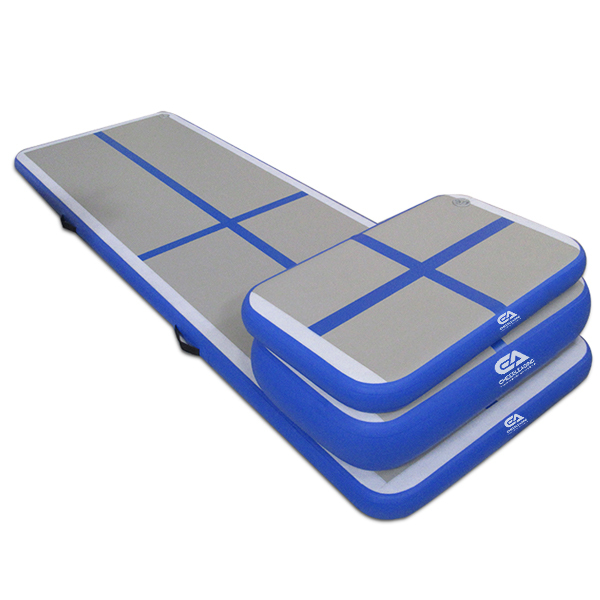 Used at home for Cheer, Gymnastics and Tumbling as well as just having some airborne fun. Also a fantastic kit for clubs who are limited on space and need that extra bit of equipment. The home tumbler kit includes Airboard (3m x 1m x 10cm), Airboard (1m x 60cm x 10cm), Air block (1m x 60cm x 20cm), 1 x joiner, hand pump, air guage and repair kit. Grey working surface with either blue or pink rails.